M.S.D. 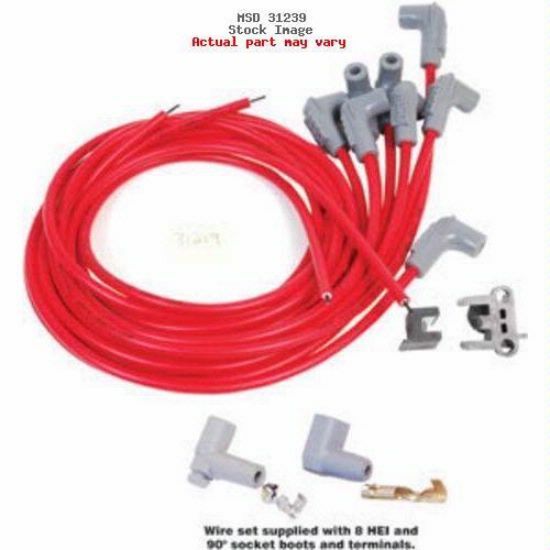 8 Cylinder Wire Set, 90degree Boot HEI- 31239 M.S.D. MSD's Super Conductor wire combines ultra low resistance with the ability to suppress interference into the ultimate performance wire. 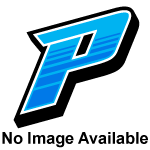 It uses a copper alloy conductor that delivers more energy to the spark plugs and it is encased in a heavy duty sleeve that resists abrasion and heat. 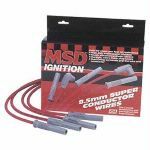 MSD's universal wire sets come with the spark plug terminal already installed and the other end open so you can route and cut your wires to fit your specific application. Distributor cap boots and terminals are included along with a mini stripper/crimper. Includes boots and terminals for both socket and HEI style distributors.